It took a Flint native to really show that it’s more than a physical difference that sets apart another Flint native from other former major league baseball players. 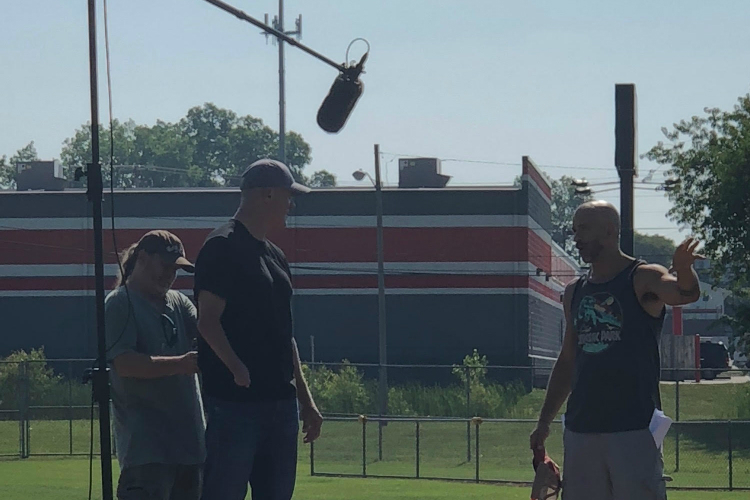 Filmmaker Mike Ramsdell produced the TV documentary “Set Apart: The Jim Abbott Story,” a collaboration with FOX Sports Films about the Flint Central High School star, who was born without a right hand and went on to play for 10 seasons in Major League Baseball before retiring in 1999. It premieres at 4 p.m. Sunday, Oct. 14, 2018 on FOX Sports. Ramsdell grew up a only a few blocks away from Abbott, but it wasn’t until he picked up the pitcher’s book, “Imperfect: An Improbable Life,” that he was inspired to reach out to Abbott last year. While there had been had been interest in telling Abbott’s story through film before, the fit wasn’t right until he was approached by Ramsdell who attributes this, at least in part, to himself being from Flint and that the two knew each other. Ramsdell spoke with Abbott for nearly a year, even traveling to Abbott’s new hometown of Los Angeles, before approaching FOX Sports about his documentary. Once FOX signed on to the project, Abbott returned to Flint to film at meaningful locales to add to the archival footage and interviews with his family, friends and former teammates. This documentary is Ramsdell's fourth feature film. He also produced the documentary "When Elephants Fight," currently available on Netflix, and the 2010 film "The Anatomy of Hate: A Dialogue to Hope." MIke Ramsdell (far right) talks with famed pitcher Jim Abbott during filming at Whaley Park for a new documentary.